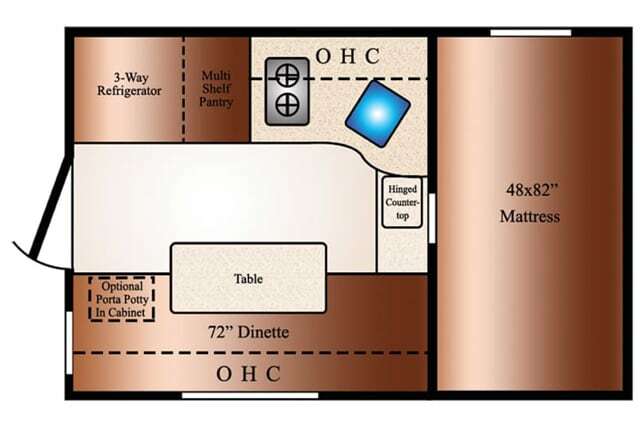 Welcome to the 2019 Travel Lite Camper Buyers Guide with eleven non-slide and cabover-less truck campers classified by price, weight, and capacities. 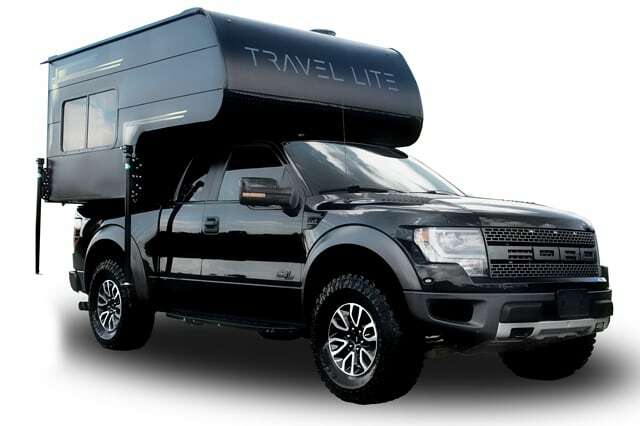 New Travel Lite pickup campers are for sale through Travel Lite dealers in the United States and Canada. 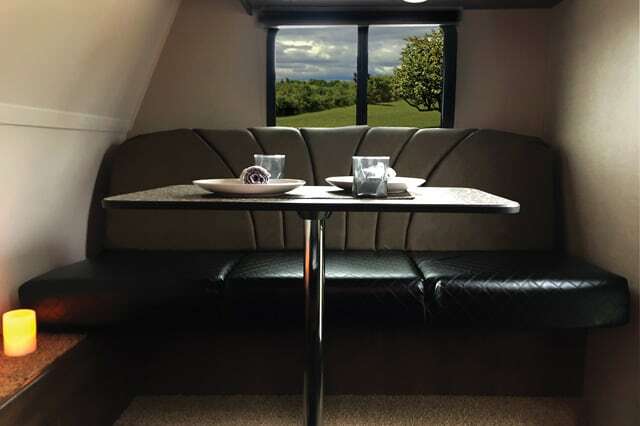 To locate your nearest Travel Lite truck camper dealer, check the Dealer Inventory section and New Camper Arrivals. 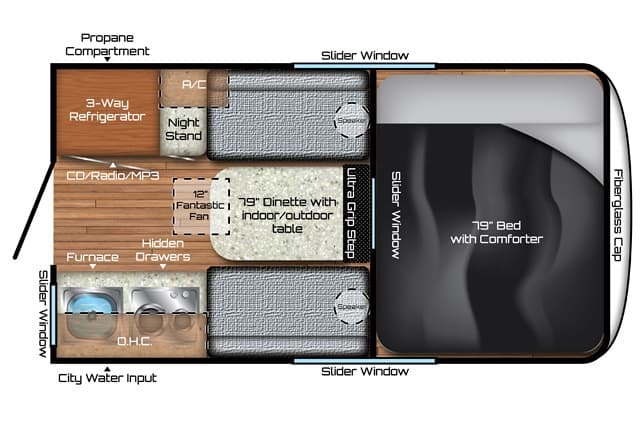 Travel Lite’s non-slide floor plans are the Air, 625, 690FD, 750, 770 Super Lite, 800X, 890SBRX, and 960RX. 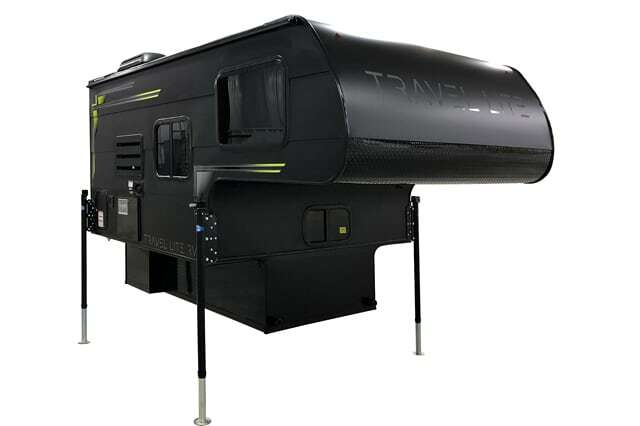 Travel Lite’s cabover-less campers are the Rayzr models. 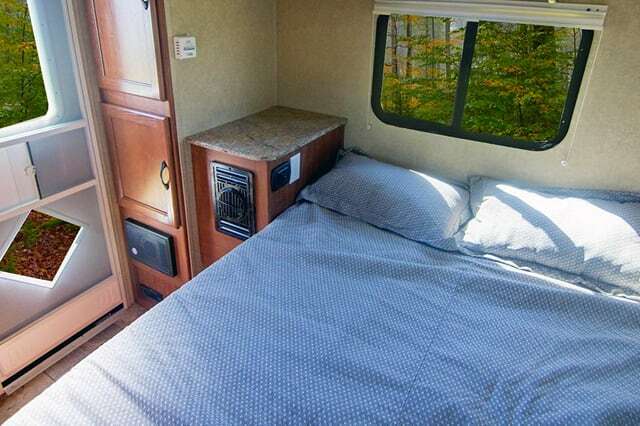 To contact Travel Lite Campers in Indiana, call 574-457-3924. To visit the Travel Lite website, go to travelliterv.com. For additional information, request a Travel Lite brochure. 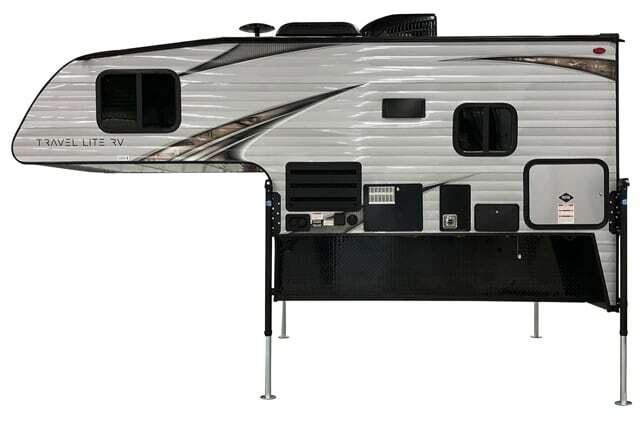 The 2019 Travel Lite 960RX is a hard-side, non-slide, wet bath truck camper with an MSRP of $21,120. This model is available as a Travel Lite Illusion model. 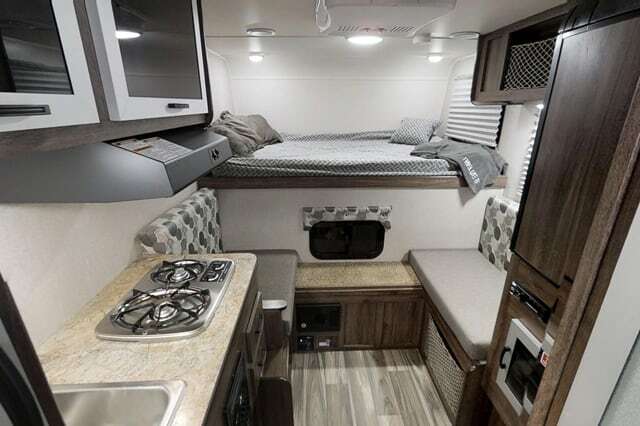 The 2019 Travel Lite 890SBRX is a hard-side, non-slide, wet bath truck camper with an MSRP of $20,920. This model is available as a Travel Lite Illusion model. 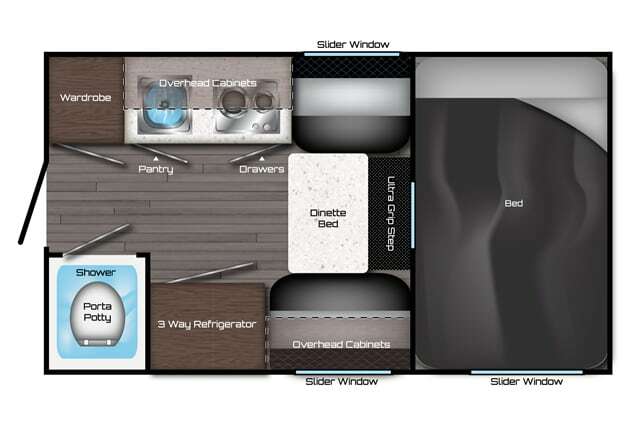 The 2019 Travel Lite 800X is a hard-side, non-slide, wet bath truck camper with an MSRP of $18,630. 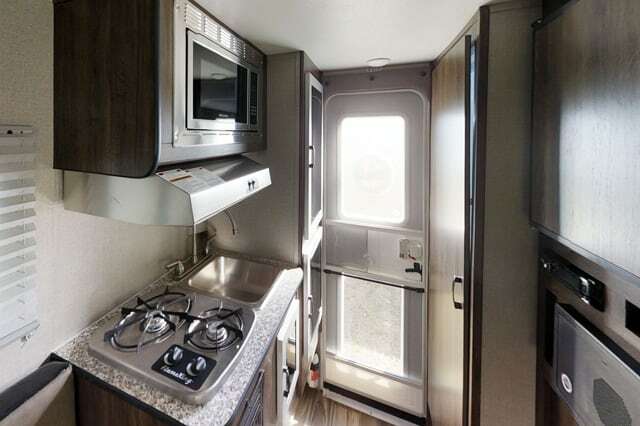 The 2019 Travel Lite 770R Super Lite is a hard-side, non-slide, wet bath truck camper with an MSRP of $12,580. For further information on this model, check out the Announcing the Travel Lite 770 article and Travel Lite 770 Review. 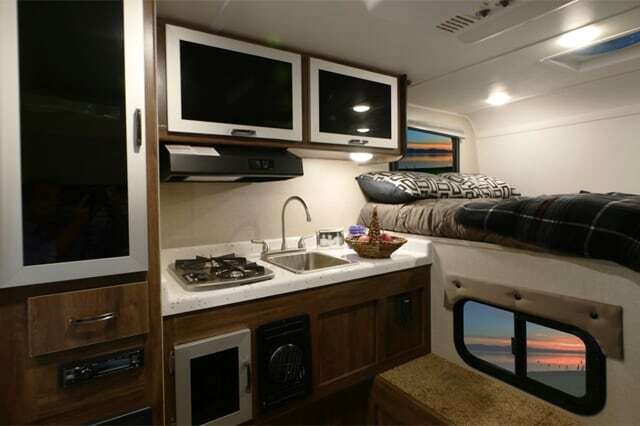 The 2019 Travel Lite 770 Super Lite is a hard-side, non-slide, wet bath truck camper with an MSRP of $12,580. 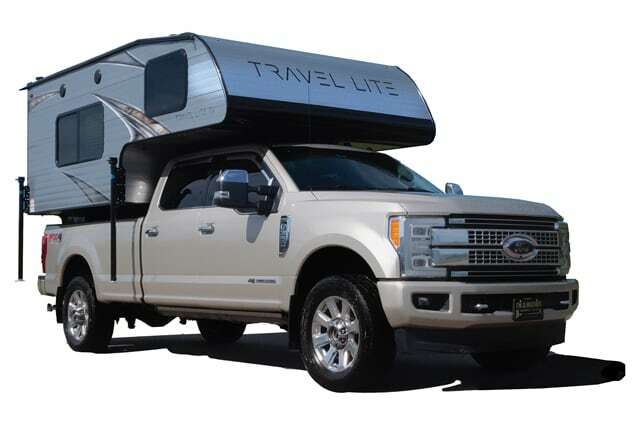 The 2019 Travel Lite 750 is a hard-side, non-slide truck camper with an MSRP of $12,290. 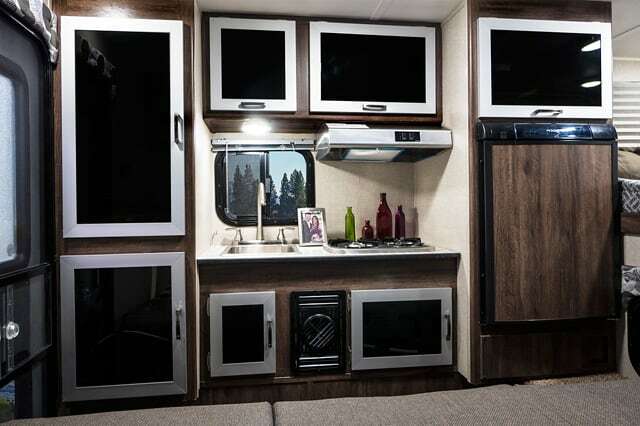 The 2019 Travel Lite 700 is a hard-side, non-slide truck camper with an MSRP of $16,685. 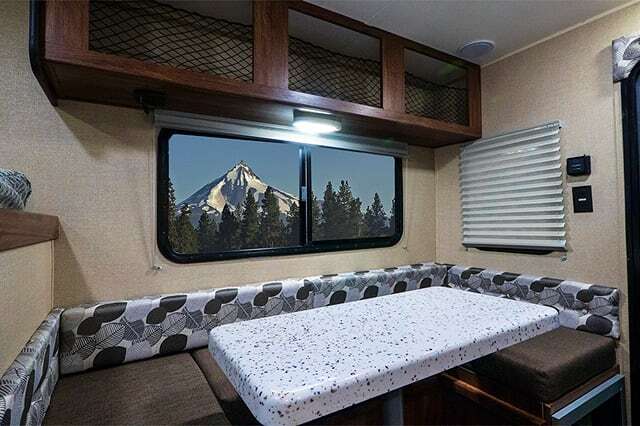 The 2019 Travel Lite 690FD is a hard-side, non-slide truck camper with an MSRP of $15,605. The 2019 Travel Lite 625SL is a hard-side, non-slide truck camper with an MSRP of $16,250. For further information on this model, check out the Announcing the Travel Lite 625 article and Travel Lite 625 Review. The 2019 Travel Lite 610R is a hard-side, non-slide truck camper with an MSRP of $16,695. 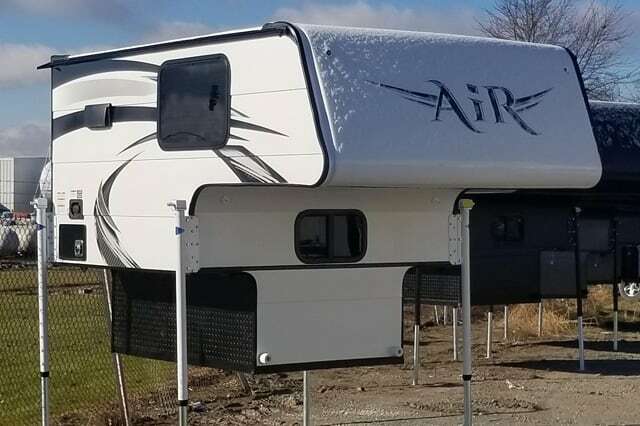 The 2019 Travel Lite Air 590 is a hard-side, non-slide truck camper with an MSRP of $12,268. For further information on this model, check out the Announcing the Travel Lite Air article and the Travel Lite Air Review. The 2019 Rayzr FK is a hard-side, non-slide truck camper with an MSRP of $11,895. 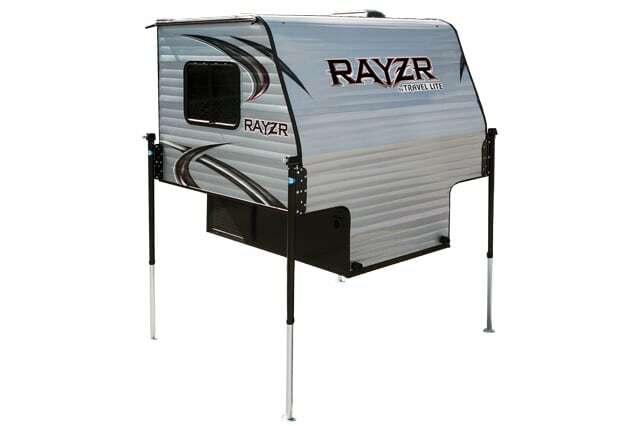 For further information on this model, check out Announcing the Travel Lite Rayzr Campers. The 2019 Rayzr FB is a hard-side, non-slide truck camper with an MSRP of $10,495. For further information on this model, check out the Travel Lite Rayzr FB Review. The 2019 Rayzr FB-M is a hard-side, non-slide truck camper with an MSRP of $10,495. For further information on this model, check out Announcing the Travel Lite Rayzr Campers and the Travel Lite Rayzr FB Review. The 2019 Rayzr SS is a hard-side, non-slide truck camper with an MSRP of $9,235. Click here to read all Travel Lite articles in TCM. 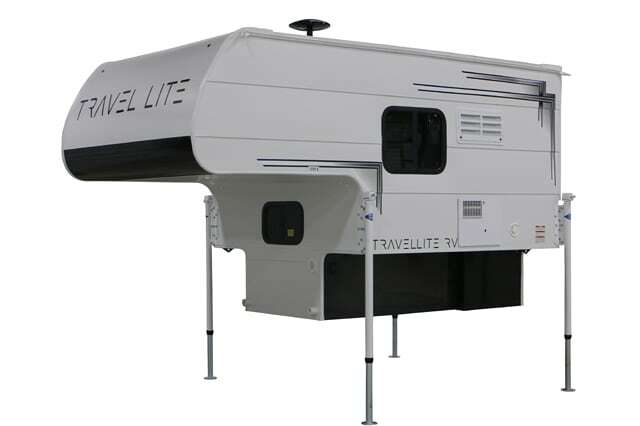 All dry weights, specifications, capacities, and photographs were provided by Travel Lite Campers. Click here for a Travel Lite brochure.